Our unique and exquisite colors sets for you Fabric printing needs we have 8-color or 11-color printer. They will produce colors like amazing aquas, brilliant blues violets, brilliant blues violets, fantastic fuchsia, sizzling hot pink. 11 color Set Commercial –Aq,F,Y,K,FLF008,BV,HP,LK,LLK,LA,R To fill the other black cartridge you get a FLF008 to put in the unused black slot. 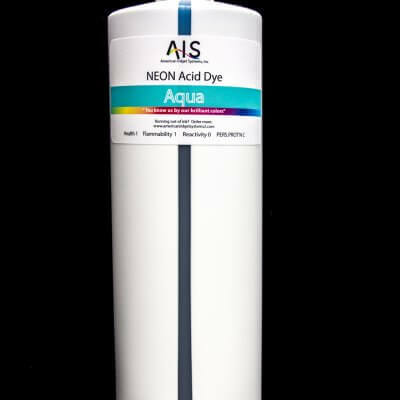 Acid Dye inks were created with with the ability for have the widest array of colors you can get for your fashion design must-haves., Unlike the standard commercial ink sets, our vastly unique color pallet, sets us apart form the rest. This may be surprising because no one else offers this technology. Simply put, more ink colors, offer more printable colors. Technically, more colors expand your the color gamut. Due to it’s exotic color pallet you must use a RIP software to use these inks. These inks are used for printing on the following media Silks, Nylon, and other fabrics.